Glittering array of celebrities and industry professionals join LELAKI HARAPAN DUNIA cast and crew for its homecoming premiere on 24 November 2014 at GSC Pavilion KL. 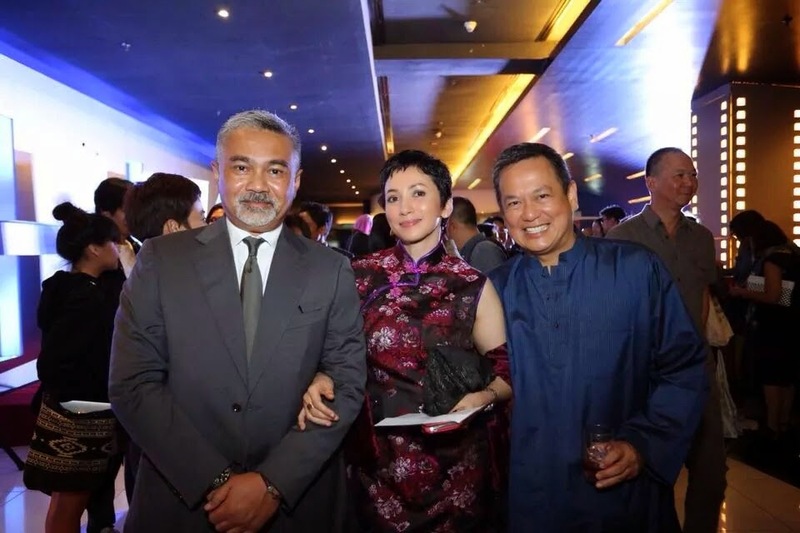 Datuk Kamil Othman (Director-General of FINAS), Jean-Pierre Dumont (Director of Alliance Française Malaysia), Sofia Jane, Carmen Soo, Yeo Yann Yann, Bront Palarae, Sharifah Armani, Vanidah Imran, Rashidi Ishak, Beto Kusyairi, Khir Rahman, Melissa Saila, Redza Minhat, Osman Ali, Dain Said, Nandita Solomon, Chiu, Ellie Suriati, Saw Teong Hin, Julian Jayaseelam, Nik Amir Mustapha, Iedil Putra, Yeo Joon Han, Tan Chui Mui, Rewan Ishak, Ho Yuhang, Bernard Chauly, Sherry Alhadat, Lina Tan, Chris Chong, Leonard Tee, TP LIM and many more. Liew Seng Tat’s highly anticipated film which has been selected for multiple international film festivals, Lelaki Harapan Dunia, is set to release on 27 November 2014 in Malaysian cinemas nationwide. One of the key highlights of the night was when the director and cast of Lelaki Harapan Dunia rally together to carry a miniature replica of the house featured in the film in a true “gotong-royong” style. It was a wonderful sight to behold. Lelaki Harapan Dunia follows a series of wild mishaps that befalls a quaint Malay village which lead to misunderstanding, false accusations and hilarious situations. The film has a stellar line up of Malaysian actors led by Wan Hanafi Su. It stars Harun Salim Bachik, Soffi Jikan, Jalil Hamid and Azhan Rani among others. It is produced by Sharon Gan and is a co-production project between Everything Films Sdn. Bhd. (Malaysia) and Volya Films (The Netherlands), Flying Moon Filmproduktion (Germany) and Mandra Films (France). Lelaki Harapan Dunia had its world premiere at the Locarno International Film Festival in August 2014. In September 2014, it had its North American premiere at the Toronto International Film Festival followed by Asian Premiere at Nara International Film Festival in Japan. Its festival run continued in October at Vancouver International Film Festival and Busan International Film Festival. In November, it was selected to compete for the NETPAC awards in both Kolkata International Film Festival and Taipei Golden Horse Film Festival. It is currently screening at the Torino Film Festival in Italy (21 – 29 November 2014).